I discovered two outliners in the Mac Apps Store. One is called "The Outliner." It's a very rudimentary two-pane outliner. I cannot recommend it, especially also because the support site does not seem to be operational. It costs $1.99. I paid it, but it does not seem to me to be worth the price. The other is called OutlineEdit. It is a slick one-pane outline with a number of extras, the most important of which is the so-called category filter. It allows you to assign different categories to outline items by giving them the same color. Look at the Website for an introduction. It costs $16.99, but it may well be worth the money. In any case, I am tempted. And not only because it looks good. I am not sure, however, that it is better than Outlinely which now also can do tags that can be filtered. 1. A tag starts with a "@" character (which I prefer over assigning a color because it is easier to type. I have written about the Mou Markdown Editor beore. It is a capable application that has been in beta for years. Its developer is now asking users to donate to a fund that will enable him to hire programers to create version 1.O: "Our goal is $20,000 USD. It'll be used to pay basic salary to our developers. It's enough for supporting 1 developer working full-time for 1 year, or 2 developers working full-time for half year. That'll be enough for us to finish Mou 1.0." The minimum contribution is $10.00: In return, the contributor will get a "Mou 1.0 license + Feature requests." There are other options. See the Website for further details. The hope is "to release Mou 1.0 in early 2015," if they reach the goal. It would be good (I believe), if they allowed contributions by way of Paypal. Nor is it restricted to just one character. Even though I use AutoHotKey and Breevy extensively for abbreviations, this might be useful for characters that you don't use often enough to want to learn an abbreviation. While Post-it Plus allows you to categorize notes, NoteRush takes this concept a bit further. It is pitched as "the best desktop app for creating linked notes and to do lists." I have not extensively tested, but it "is a Windows desktop application that helps you to write notes and build your information in a highly interactive and engaging way. NoteRush is centered around post it style note windows that can be linked and grouped as much as you like into dynamic floating collections." There are two versions: Classic (which is free) and Premium (which costs 29.95). It needs .NET Framework 4. The interface takes some getting used to, but NoteRush does what it promises to do and works like a vertical outliner of sorts. The free version does not allow you to pin notes or export them. As I have not bought the application (or even actvated the 20 day trial), I could not test these features. From the little I have use NoteRush, I have developed a feeling that the problem in using the application for the long run will be that its interaction with other applications is a bit clunky. This may, of course, be wrong, and I will report on this later. Overall, it seems like a good idea. Post-it Note is an application that does post-it notes on your iPhone or iPad. It's from 3M, and it looks promising. Among other things, you can organize them and share them with others. Ralph Waldo Emerson found: "every day's doubt is whether to seek for ideas or to collect facts. For all successful study is the marriage of thoughts and things. A continual reaction of the thought classifying the facts and of facts suggesting the thought" (JMN 5, 72). He described this also as making thoughts conform to things and things conform to ideas or principles. It leads for him an ever-expanding circle of taking note of things. Needless to say, I have always found this Emersonian approach compelling, even if the results of the marriage or dialectical confrontation—if there is a difference—led me to a quite different outlook of life and mind. 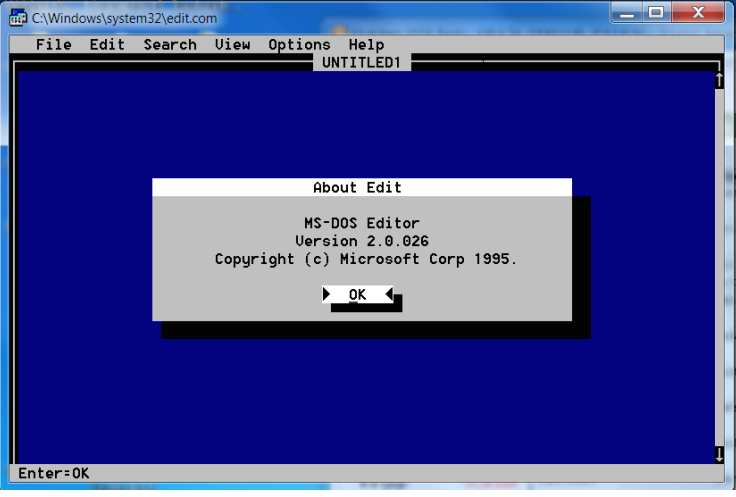 I did not know this, but the MS-DOS editor is still available in Windows 7. Just go to Start, type "edit.com" and hit return in the Search box. I always liked the editor. It allows split screen, for instance. Notepad cannot do that. On the other hand, it does not play nice with Umlauts. It's just a curious fact. I will probably hardly ever use it. Slow Reading, Cooking, or Knitting? There is a Wall Street Journal article on the benefits of "slow reading." It emphasizes all kinds of benefits of this practice: "really, really enjoy," improves "ability to concentrate, reduces stress levels and deepens their ability to think, listen and empathize," offsetting "the ever-faster pace of life, such as cooking the "slow-food" way or knitting by hand," "slowed rates of memory loss in participants' later years," improving the understanding of "others' mental states and beliefs, a crucial skill in building relationships," and "a return to a continuous, linear pattern, in a quiet environment free of distractions. Advocates recommend setting aside at least 30 to 45 minutes in a comfortable chair far from cellphones and computers. Some suggest scheduling time like an exercise session." The words "learning" or "knowledge" do not occur in the article. I doubt that the advantages mentioned are the primary benefits of reading. In fact, I dam sure that reading builds "crucial skills in building relationships." I think it atrophies that ability (which is not necessarily a bad thing). There is also the claim that "many recommend taking occasional notes to deepen engagement with the text," not for the sake of extracting knowledge, of course, but to make reading more, like, say: cooking or knitting. I ask myself, if this "analysis" is true, why not cut out reading altogether and go for cooking and knitting right away. But I am unfair—the "or is not an exclusive or that is meant to exclude any of these activities, but rather an inclusive one that enjoins us to do all of them, as long as we don't try to do them all at the same time, as that would not be "linear" and "continuous" enough, leading to an "ever-faster pace of life." Writing is a concentrated form of thinking . I don’t know what I think about certain subjects, even today, until I sit down and try to write about them. Maybe I wanted to find more rigorous ways of thinking. We are talking about the earliest writing I did and about the power of language to counteract the wallow of late adolescence, to define things, to define muddled experience in economical ways: Let’s not forget that writing is convenient. It requires the simplest tools … A young writer sees that with words and sentences … He can place himself more clearly in the world. Words on a page, that’s all it takes to help him separate himself from the forces around him … He learns to think about … things, to ride his own sentences into new perceptions. I tend to agree. It's true not just for "a young writer." Nor is it true just for fiction. Muzac or elevator music fulfills a function. This function is—at least as far as I am concerned—to annoy people. Apparently, the Times has discovered a new twist on this. It pipes typewriter sounds into the newsroom. There have been for a while applications that reproduce typewriter sounds as you type. I find that annoying. I believe that I would find the trype writer muzac even more annoying. Loosely related to note-taking, I know! I said I would most likely not take another look at Scribbleton, and I have not. But, as one reader of this blog reported, the ridiculous restriction of three links has been removed. There are many "reviews" of this alpha version on the net. Most of them are just summaries of the developer's description of the program. This review is the best I have seen, though it is far from clear whether its author has actually used the application extensively. Nor is it clear whether Scribbleton allows other ways of creating a new page than that of pressing a button in the sidebar. The post says: "A left sidebar lists (clickable) the pages in the wiki and provides a button to create new pages." 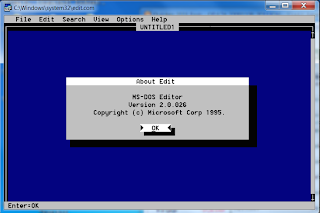 Folia is supposed to blow "the socks off of the linear word processors we’ve all been stuck using. It’s inspired by years of work observing how we communicate, learn, and record ideas (and of course our experience with iAnnotate)." It's supposed to be more than "just a word processor with web-like links" because "connections in Folia are more powerful than the links we use on the web. Links on the web are just hollow connections between two pages, they provide limited information about why the link exists or which specific parts of a linked document are relevant. Frankly, I think it’s this limitation of HTML-style links that has prevented linking from becoming a more ubiquitous part of creating, writing, etc." I was excited, I downloaded the application, and I opened it ... only to be greeted by a screen with "username" and "password" fields. It turns out that "in order to use Folia and view folias shared with you, you will need to be registered. ... The app is offered free of charge for a limited time but subscription pricing will take effect in future versions." This is revealed in the Frequently Asked Questions page. I did not register and deleted the application. Someone else might not mind the proprietary format and lack of control over their own data as much as I do. Though I am intrigued by their claims about linking, I am not going to waste any more time on this application. The application is available for free in Apple's Application Store. I should have read the customer reviews before downloading, as they mirror my main concern. I would also have found out that you cannot even print from the application.